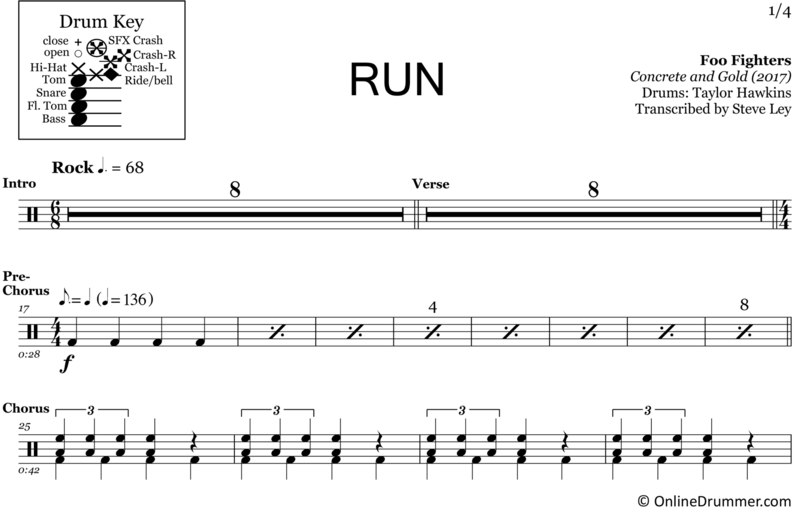 The full drum sheet music for “Run” by Foo Fighters from the album Concrete and Gold (2017). Taylor Hawkins brings his high-energy touch along with some unique rhythms, triplets and powerful fills on Run. This is an all-around fun song to play that’ll keep you on your toes.